Book a fun and active day for your child in Summer! U-Sports is working in conjunction with Hinchingbrooke Country Park to organise Multi-Sport camps which will give boys and girls the opportunity to try a variety of sports and play activities in a safe and supervised environment. Loads of different activities in offer. Children of ages 5 to 11 years can attend. Activities take place outdoors so can be subject to weather. Alternatively you can register your interest via the email below and cash payment can be made in full upon arrival on the day. Please contact us if you would like further information or if you have any questions. A great summer holiday activity for families! Drop into the Museum and take part in a different craft activity each week to take away with a 17th century theme to it. Make your own replica of Cromwell's hat, design your own Civil War flag or make a sweet smelling pomander! No need to book, just come on the day. 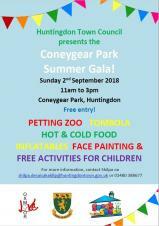 The Coneygear Park Summer Gala is back! This year, you'll see the petting zoo, inflatables, stalls, face-painting and demo's. They'll be an activity zone which the Medway Christian Fellowship are organising, where young people will enjoy lots of craft activities free of charge. HCRfm will be present playing our favourite tunes. The Snack Shack will also be open and selling pic-nic bags for £1, hot dogs, burgers, tea/coffee/cold drinks and lots more. An event not to be missed! The event will run from 11am - 3pm. 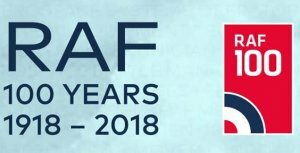 In celebration of 100 years of the Royal Air Force and of the close relationship between Huntingdon and RAF Wyton from its formation as a Royal Flying Corps Station in 1916, a celebratory service will take place on the Market Square on Monday 3rd September 2018, at 11.55am. The 3rd September is a significant date in RAF Wyton's history, marking the first operational sortie of World War II to leave Wyton, back in 1939. A meeting of the Lettings Sub Committee. This meeting was private and confidential. 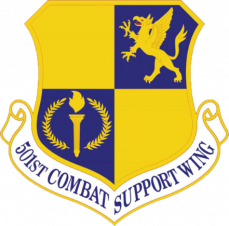 At an extraordinary meeting of Huntingdon Town Council on Thursday 23rd November 2017, it was resolved to grant the Freedom of the Town to the USAF 501st Combat Support Wing. The Wing will be granted their Freedom on Friday 21st September 2018. Phill became a familiar face when he started as team captain on BBC2's pop quiz Never Mind The Buzzcocks in 1996,which went on to run for 19 years.Aside from Never Mind the Buzzcocks and live stand up shows all over the UK, he also appears as a regular guest on QI (BBC2) and Alan Davies As yet Untitled (Dave), and in 2012 returned to television stand-up for the first time since 2000 with an appearance on Live at the Apollo (BBC1). On BBC Radio 4 Phill is a regular panellist of the award winning I'm Sorry I Haven't a Clue and The Unbelievable Truth and was resident curator on The Museum of Curiosity. In addition, he has presented numerous radio documentaries including, Phill Jupitus' Comic Strips, Calvin and Hobbes and The Man Who Bought Hendrix's Stage. Phill's theatre work includes playing Bottom in the Bath Theatre Royal production of A Midsummer's Night Dream, appearing alongside Jason Manford in the UK touring production of The Producers as Franz Liebkind, the West End production of Urinetown in the role of Caldwell B. Cladwell at the Apollo Theatre and his West End singing debut in 2009 when he played Edna Turnblad in the hit musical Hairspray at The Shaftesbury Theatre. Seating : Unreserved - Wheel chair customers: full price but carer ticket free. 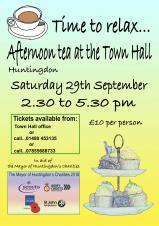 Come and enjoy a rich taste of the world with Huntingdon's International Market. Along with a Spanish beer and wine bar which will be open from 9am – 8.30pm, there will be numerous stalls from Europe and beyond specialising in their native foods and products. It's never too early to start planning those Christmas presents and this is your ideal chance to choose something a little different this year. 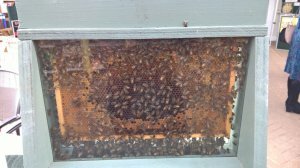 The Huntingdonshire Beekeepers Annual Honey Show will take place from Saturday 29th September to Sunday 30th September 2018 at Frosts Garden Centre, Brampton. Entry is free and all are welcome! HTML5 validated. WCAG compliant. Page generated in 0.2436 seconds.